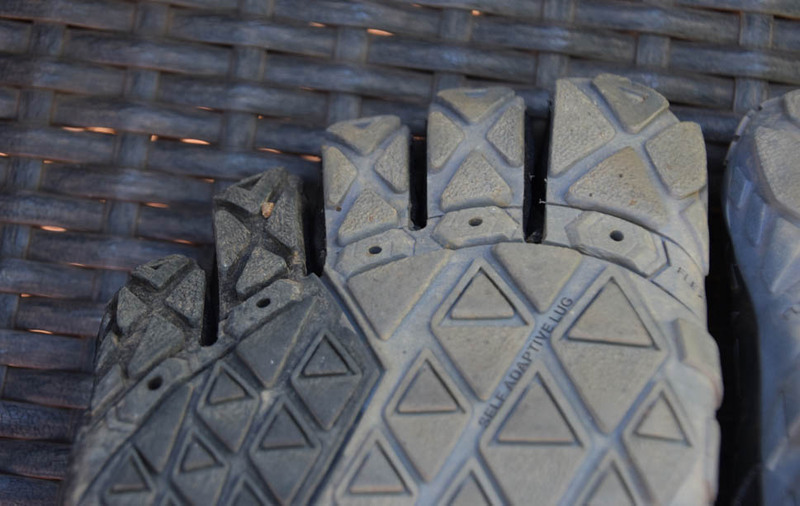 I’ve been wearing a pair of Vibram Five Finger shoes in the gym for about four years now so I decided to bite the bullet and see how they would stack up as a hiking shoe. 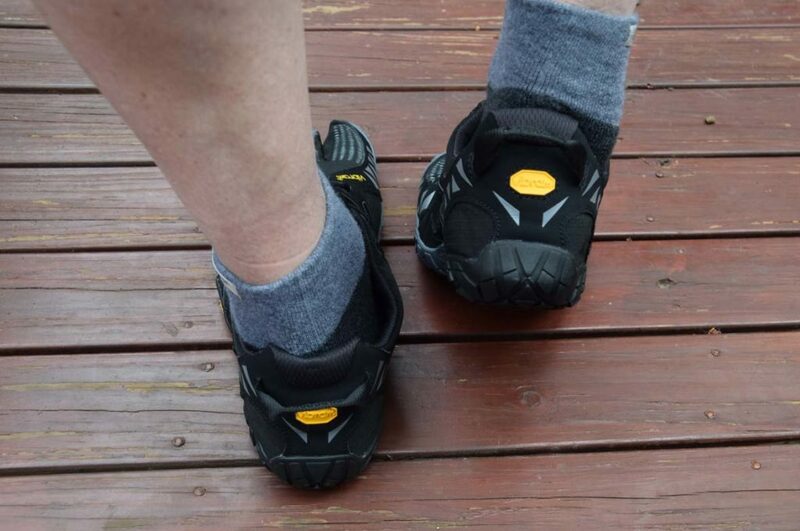 Vibram is a name that many of you will recognise as the outsoles of many brands of well known shoes on the market. I must admit to having some preconceptions, both positive and negative, when it came to wearing these shoes on a hike. However over my usual 200 km test period, they surprised me in a number of ways. First let’s start with the ‘elephant in the room’ and that’s the fact these shoes are essentially a pair of gloves for your feet. 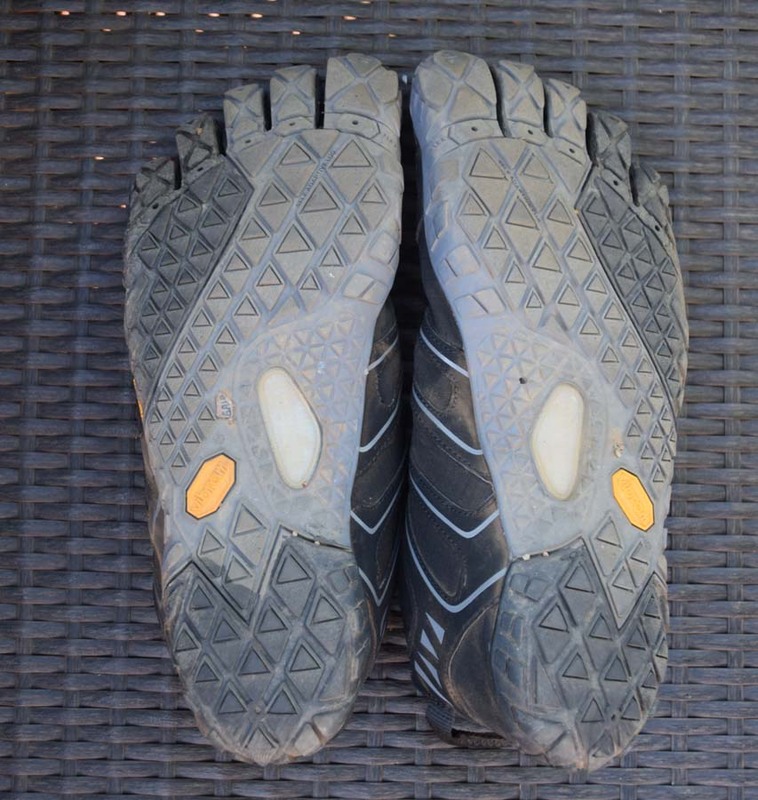 They have individual toe compartments (hence the name Five Fingers) and this feature is often what puts people off in trying them out. In relation to the Five Finger range, the idea is that a minimal protective layer is provided underfoot and the individual toe compartments provide a natural feel. These shoes are as about ‘barefoot’ as a shoe can get while still wearing shoes. Being ultralight with my size 49 EU weighing in at just 474 grams which is about half the weight of usual hikers. 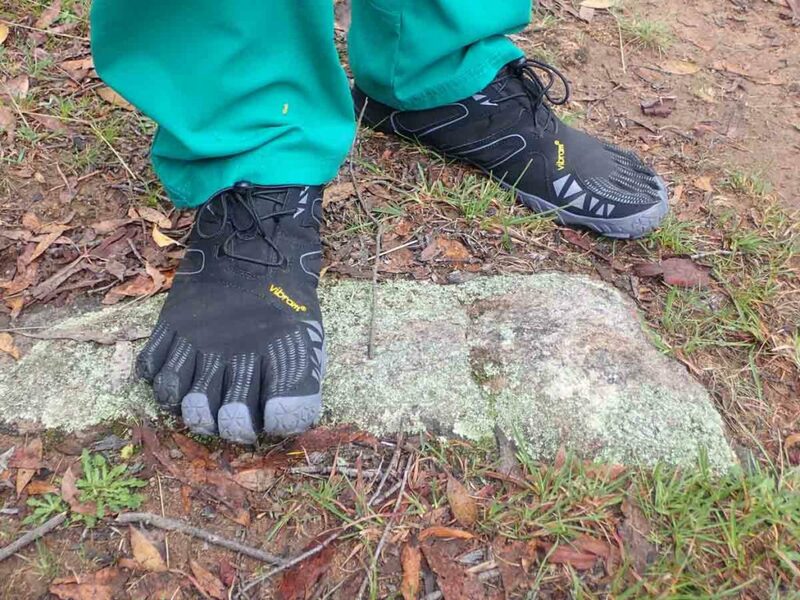 While I usually wear my gym shoes without socks, I opted to wear the Vibram Five Fingers V-Trails with Injinji socks to provide a bit of additional warmth. I had anticipated the soles of these shoes wouldn’t provide adequate protection while out hiking but they proved me wrong. Over the six weeks I wore these shoes I found I have never had so much sensitivity through my feet and in addition I had exceptional traction with my toes moving to match the ground form. Coming down my local mountain on steep powdery slopes I had supreme grip on the ground. Even with an 18.5 kg pack these shoes felt really good. I also thought they wouldn’t provide much protection over rocky ground but again I was wrong. Even over rough ground these shoes provide more than adequate protection. Like any piece of gear there were downsides. The first being the difficulty in finding a pair that would fit me. While I could have easily worn size 48 shoes, I wanted to allow for potential swelling as well as the ability to wear a pair of socks. At the time I purchased my shoes I had to source them from the USA as there were none in my size in the country. Availability is now better but still for those of us with big feet the choice is limited. The other sizing issue is that I’m a size 14-15 US in just about any other brand but in this EU size 49 which is supposed to be a size 13-14 US, the sizing runs large. 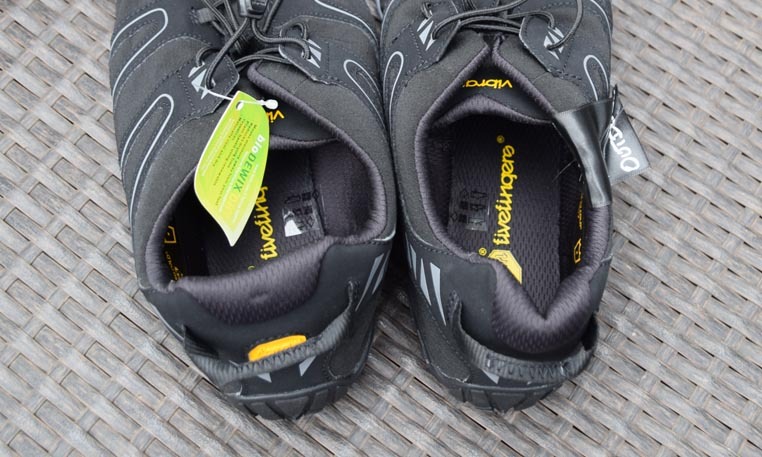 But the main issue for me with these shoes is the lack of cushioning underfoot so I’m never going to wear these shoes on a multi week hike, my knees just wouldn’t cope. 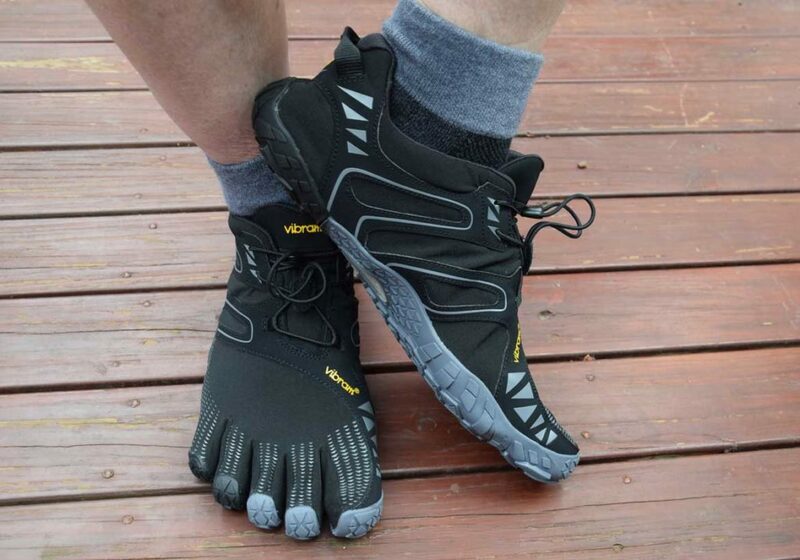 To be fair these shoes are the Five Fingers Trail running version as opposed to the full on hiking version which does have more padding. Having said all this I love these shoes. I feel more in contact with nature and the environment than any other footwear I have ever worn. So while I may not wear them on long distance hikes I will gravitate towards them for day hikes.